Under the auspices of H.H. the Dalai Lama and the trusteeship of H.H. the Gyalwang Karmapa, H.E. Ling Rinpoche and Dr. Thupten Jinpa Langri, we are pleased to announce the formation of the Tibetan International Digital Library. The Tibetan International Digital Library (TIDL) has been established in order to create integrated access and secure archival conservation for the digital collections of Tibetan cultural resources worldwide. Ever since the 1960s, individuals, nonprofit organizations, museums, libraries, and study centres in North America, Europe, and Asia have worked to document, preserve, and make accessible as much as possible of Tibet’s cultural heritage. These unique and vitally important surviving documentary materials – collections of classical texts; audio and video recordings and/or transcripts of oral commentaries; translations of classical texts in modern languages; and photographic, video, and film documentation of arts traditions and historical events—are now held in collections which are scattered around the world. (ii) a safe archival home for collections that may, either now or in the future, face challenges that threaten their survival. In Phase One of the project, the Orient Foundation for Arts and Culture (which holds the largest collection of digitised audio commentarial recordings to classical texts together with video documentation of classical arts traditions) will be working with the world's largest collection holders of digitised classical texts to create unified multimedia access to these major textual and oral commentarial collections and, concurrently, will be building the technical infrastructure for creating unified access to the further more than two hundred primary digital resource collections worldwide. 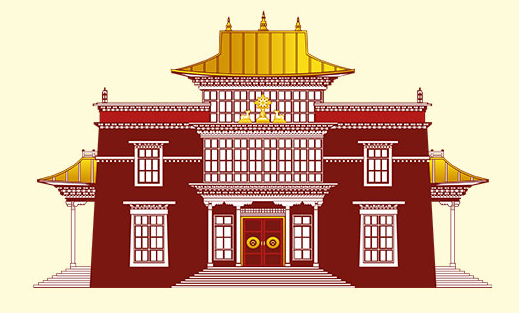 Based on over 40 years of working closely with the senior Tibetan masters of all traditions and with the major monastic and scholastic centres of India and Nepal, TIDL's project managers and team of highly skilled specialists in the development of digital library systems will be working, under the guidance of TIDL's trustees and senior lamas of all traditions, to build a digital library platform which fully reflects the cultural forms and vast breadth of classical Tibetan knowledge, arts and practices. From the beginning of the technical development of the Tibetan International Digital Library, Tibetan technical staff will be trained in the cataloguing and metadata structures and technical protocols of the TIDL platform and archive. Going forward, it is the aim of the trustees, that the TIDL digital library platform and archive will be administered as much as possible by Tibetan staff. Copyright © 2019 Tibetan International Digital Library, a nonprofit 501(c)(3) organization. All rights reserved.